The stories on the US being on the verge of lifting sanctions on Syria, seem too good to be true. I doubt any action will be taken to improve relations with Syria so long as President Bush sits in the White House. Of course, the various US agencies that have to deal with Syria, such as Defense, State, Intelligence, etc. have all been urging the White House to reassess its policy toward Syria for some time. ….. Welch, according to the CNN report, also said Syria should play a more positive role in the Palestinian-Israeli negotiations and stop supporting Palestinian terrorist groups. He also raised the issue of Syria’s strategic relationship with Iran. The deployment must also be seen in the light of Nir Rosen’s recent article on the Salafis in Lebanon . He brings to life the danger that the Salafists in Lebanon, who have Israeli C4, American weapons, hatred of Syria, Hizbullah, Israel, and the Lebanese government, present to Syria. After some of these Salafists were arrested, the Lebanese government released them. The US has not complained. The USG did complain that the Syrian government released Absi, who promptly traveled to Lebanon, where the government made no move to arrest him despite having ample opportunity. Absi built himself into the head of Fatah al-Islam and caused the deaths of many. One striking example of the Jihadists who were released by the Hariri government is Omar, who was arrested in 2004. He was accused of plotting to bomb western embassies. But he was released in 2005, along with other jihadists, at the same time as Samir Geagea, the leader of the right-wing Christian Lebanese Forces, who had been convicted of war crimes. The release of Omar and other jihadists was widely regarded at the time as an attempt to bolster the Sunni credentials of the Future Movement. JOE MACARON’s “The Saudi-Syrian Cold War Unfolds in Tripoli“, gives very good historical background to the North Lebanon problem. [I have one quibble. He writes: “Islamist Omar Bakri, who was able to escape British authorities, was released by Lebanese authorities and found a new home in Tripoli in August 2005.” Bakri left Britain On August 6, 2005 of his own free will following the London bombings. The Home Secretary later forbad him from returning from Lebanon. British Ambassador to Lebanon James Watt said, “We made no request for his arrest, nor for his extradition. As far as I am concerned, this is a very simple story — it is a Lebanese citizen who returned to Lebanon and has been arrested by the Lebanese police. We have nothing to do with it and it’s not in our place to comment on what has happened.” It would seem that Omar Bakri was detained for only a few days by the Lebanese authorities before he was released and took up residence in Tripoli. RIYADH (AFP)–Exiled Hamas supremo Khaled Meshaal has called for a thaw in ties between Saudi Arabia and Syria during a recent visit to Saudi Arabia, an Arab diplomat said Sunday. “During meetings with Saudi officials, Meshaal raised the issue of Saudi-Syrian relations, which have long been tense, and stressed the importance of improving those ties,” the diplomat told AFP, requesting anonymity…..
From its mountain perch in Har Keren, the U.S. radar will be able to monitor the take-off of any aircraft or missile up to 1,500 miles away — giving Israel a vital extra 60-70 seconds to react if Iran fired a missile, Israeli military sources told TIME. Israel has its own radar system trained on Iran, but it’s range is much shorter. Still, some see several drawbacks for Israel in the radar, and blame Defense Minister Ehud Barak for requesting its deployment in Israel without consulting anyone other than his chief of staff. 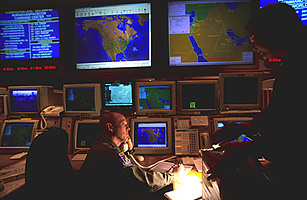 Some in the upper echelons of the Israeli Defense Force fear that although the radar will enhance Israel’s protection against Iran, it may also open up Israel’s own military secrets to the Americans. Israel will have no direct access to the data collected by the radar, which looks like a giant taco. It will only be fed intelligence second hand, on a need-to-know basis, from the Americans — unless the radar picks up an immediate, direct attack on Israel, Israeli sources claim. And Israeli officials expressed concern that the radar’s installation may anger Moscow, since its range will enable the U.S. to monitor aircraft in the skies over southern Russia. When the U.S. stationed anti-missile radar and interceptor systems in Poland and the Czech Republic — ostensibly directed at a future Iranian threat, although the Russians believe their own missile capability is its real target — Moscow warned those countries that the move could result in their being added to the target list of Russia’s missiles. Israeli military sources say that Barak requested the radar from U.S. Secretary of Defense Robert Gates in July, after U.S. requests to station such a system in Turkey and Jordan were rejected. Barak was eager to acquire the advantage of the early warning that the system would provide in the event of a possible Iranian attack. But with the Russians already peeved at Israel for having had military advisers inside Georgia when war broke out over South Ossetia, the radar’s deployment in Israel, say officials, might make Moscow even more likely to supply Iran and Syria with its highly-accurate SA300 anti-aircraft missile batteries. From the point of view of values, the government’s approach is fundamentally mistaken. The Golan Heights were taken in a just war in 1967, a war which was provoked by an extremist and reckless Ba’athist regime in Damascus. Our presence is both legaland essential. The Golan Heights must be retained under Israeli sovereignty. ANALYSIS / Will Israel’s next war be a repeat of Lebanon 2006? What will the next war look like? Recent statements from several senior Israeli military officials offer a surprising answer: Perhaps much like the last one. Following on the Israel Defense Forces’ failure in the 2006 Second Lebanon War, the army is likely to resume fortifying its maneuvering capability, represented by the Armored and Infantry Corps, at the expense of its firepower, particularly that of the Air Force. However, a recent interview with GOC Northern Command Gadi Eisenkot, and articles written by two senior reserve officers, indicate that the IDF will continue to give first priority to firepower, even if the targets it chooses are different than those chosen in previous conflicts. This is not merely a theoretical matter. Though neither Israel nor Hezbollah seems particularly interested in another round of fighting, another conflagration is certainly possible. This could come as a result of a revenge attack for the February killing of senior Hezbollah operative Imad Mughniyeh, for which the group blames Israel, or as an Israeli response to the group’s smuggling of anti-aircraft weapons into Lebanon. In an interview Friday with the daily Yedioth Ahronoth, Eisenkot presented his “Dahiyah Doctrine,” under which the IDF would expand its destructive power beyond what it demonstrated two years ago against the Beirut suburb of Dahiyah, considered a Hezbollah stronghold. Colonel (Res.) Gabriel Siboni recently authored a report through Tel Aviv University’s Institute for National Security Studies backing Eisenkot’s statements. “This strike has to be carried out as quickly as possible, through prioritizing strikes at its assets, rather than chasing after launch sites. Such a response is likely to be remembered by decision makers in Syria and Lebanon for many years, thus deepening deterrence,” he said. Major General (Res.) Giora Eiland, formerly head of the National Security Council, belongs to a similar school of thought, and even goes a step further. He believes Israel failed in the Second Lebanon War and is liable to fail in a third such war, because it is fighting the wrong enemy: Hezbollah, instead of the state of Lebanon itself. Writing for an INSS publication set to come out this week, Eiland states it is impossible to beat an efficient guerrilla army supported by a state immune from retribution. The fact that Hezbollah has rebuilt its strongholds beneath the Shi’ite villages in southern Lebanon will make any IDF maneuvering efforts difficult, he writes, adding that targeted strikes against rocket launch sites will not decrease the number of rockets fired at Israel. “Hezbollah operates under optimal conditions from our perspective. A legitimate government runs Lebanon, supported by the West, but it is in fact entirely subordinate to the will of the Shi’ite organization,” he writes. Eiland recommends preemptive action: that Israel pass a clear message to the Lebanese government, as soon as possible, stating that in the next war, the Lebanese army will be destroyed, as will the civilian infrastructure. “People won’t be going to the beach in Beirut while Haifa residents are in shelters,” he writes. While Eisenkot and Siboni deal primarily with striking Shi’ite strongholds, Eiland sees Lebanon’s infrastructure as a primary target, in a plan highly reminiscent of the one proposed by then-IDF chief of staff Dan Halutz, which was eventually shot down by U.S. opposition. Eisenkot’s “DahiyahDoctrine” also raises a number of questions about a possible international backlash, which could end the conflict under conditions favorable to the enemy. What the three officials have in common, surprisingly, is their emphasis on air power. Anyone who thinks the Air Force will step aside given the results of the last Lebanon war will likely be proven wrong. Still, once it is up and running it will be a symbolic success for those promoting liberalisation in Syria, an issue that has become more pressing as the country’s limited oil reserves decline. Bassel Hamwi, general manager of Bank Audi and deputy chairman of the exchange, says the real significance of the opening of the stock exchange lies not just in attracting foreign investment but in the signal it sends to the Syrian bureaucracy. “I think with the stock market, Syria will be very much on its way to becoming an emerging market and an important indication that we are open for investment,” he says. The art impresario Charles Saatchi has picked his latest new wave of talent – painters who have sprung from the wreckage of Iraq and the religious strictures of Iran. Saatchi, famous for spotting and promoting Britart in the 1990s, is to stage an exhibition of work by some 15 young artists from the Middle East at his new gallery in Chelsea, London. Their work ranges from graphic depictions of the carnage in Iraq to nudes that defy the edicts of the Iranian ayatollahs. All the artists were born in these countries or in Syria or Lebanon, although some now live in exile. Saatchi, who since his patronage of the Young British Artists has spread his wings with exhibitions of new European and American artists, is staging a show of Chinese work to open his gallery this week. Over the past few months, however, he has been quietly accumulating works by the Middle Eastern artists. Some he first spotted online, others he picked up at galleries in New York or Dubai. The show represents a return to his roots for Saatchi, born to an Iraqi Jewish family in Baghdad before moving with his parents to Britain at the age of four. “Some of this Middle East art is witty, some of it is hair-raising, and the best works are as sharp as a scalpel,” said Saatchi. His new gallery, which will be free for all exhibitions, opens on Thursday at the Duke of York’s headquarters, a former barracks off the King’s Road. WASHINGTON (Reuters) – The United States is assessing its isolation policy of Syria in the final months of the Bush administration but is unlikely to return an ambassador to Damascus any time soon, said U.S. officials and experts. A senior U.S. official said there were talks on how best Washington could “influence” Damascus, particularly following the recent rapprochement between France and Syria, with President Nicolas Sarkozy’s visit to Damascus last month. “We are seeing if there is some advantage in how we reconfigure ourselves diplomatically,” said the senior official, who asked not to be named as the issue is sensitive. He told Reuters late Friday that Washington’s move came amid some “encouraging signs” by Syria, such as its help in brokering the election of Lebanon’s president and decision to have diplomatic ties with the neighbor it dominated militarily for nearly three decades. In a sign of a possible thaw, U.S. Secretary of State Condoleezza Rice met Syrian Foreign Minister Walid al-Moualem on the sidelines of the U.N. General Assembly at the end of last month — their third meeting in 18 months. Rice’s staff say she pushed him on several areas — Syria’s ties with Iran, border security with Iraq, their “actions” in neighboring Lebanon, the harboring of Palestinian extremist groups, as well as the slow pace of human rights reform. The State Department’s lead diplomat on the Middle East, David Welch, followed up with a lengthy discussion with Moualem in New York on Monday. “We are looking for ways to improve and make more effective our effort to get them to change their behavior,” said the senior official of both Welch and Rice’s talks. U.S. relations have been particularly frosty with Syria since the 2005 assassination of former Lebanese Prime Minister Rafik al-Hariri, which Washington says Syria was likely involved in. Washington’s tactics have been to isolate Syria with a raft of sanctions and to blame Damascus for stoking up violence in Iraq by allowing foreign fighters to cross its borders. Syria is also on the U.S. list of state sponsors of terrorism. Several analysts and diplomats say pressure is also coming from the Pentagon to have better ties with Syria, sensing this would ease tensions in the region, particularly on the border with Iraq. Syria denies it is stoking up violence in Iraq. But the White House appears less enthusiastic about a shift in Syria policy, underscored by President George W. Bush’s speech to the U.N. General Assembly when he said Syria, along with Iran, continued to sponsor terrorism. Asked whether there were moves to have closer ties with Syria, White House spokesman Gordon Johndroe declined comment. A quiet review may be taking place at the State Department of how to deal with Syria, but U.S. officials say there are no plans to boost U.S. diplomatic presence in Damascus and return an ambassador there who was recalled after Hariri’s killing. There are also no plans to send Rice on a “peace mission” to Syria and join what Washington sees as a “cavalcade” of recent European visitors to Damascus, including Sarkozy. Part of the move to reexamine Syria policy is also to lay the groundwork for the next administration, either led by Republican John McCain or Democrat Barack Obama. “They want to get involved now so that it does not look like a reversal,” said Syria expert Daniel Levy, a senior fellow at the New America Foundation. “The time was right a long, long time ago to do this … the policy of isolation has not worked,” he added. Washington is also closely watching indirect talks mediated by Turkey between Syria and Israel and judging when the time might be right for U.S. intervention. WASHINGTON (Reuters) – The United States voiced concern over Syria’s military build-up at its northern border and said the recent massive bomb attack in Damascus must not be used as a pretext to get its forces back into Lebanon. State Department spokesman Robert Wood said the United States and others had made very clear to Syria that any intervention by Damascus into Lebanon was unacceptable. “The recent terrorist attacks that took place in Tripoli (Lebanon) and Damascus should not serve as a pretext for, you know, further Syrian military engagement or, should not be used to interfere in Lebanese internal affairs,” Wood told reporters. Syria tightly controlled politics and security in Lebanon until the 2005 assassination of former Prime Minister Rafik al-Hariri. The murder triggered international pressure that ultimately forced Syria to end its 29-year military presence in Lebanon and pull its forces back. Damascus has warned of growing Islamist militancy in north Lebanon and the Syrian authorities have said a vehicle used in a suicide attack in Damascus last month crossed into the country from a neighboring Arab state. Along with Lebanon, Syria’s Arab neighbors are Iraq and Jordan. At the end of last month, Syria sent hundreds of troops to its northern border with Lebanon, in a move the authorities said was aimed to combat smuggling. Syria’s opponents in Lebanon have speculated that Damascus could use insecurity in the north as a pretext for intervention. “Obviously we’re concerned about this type of activity along the border and that it not lead to any further interference on the part of Syria into Lebanon’s internal affairs,” Wood said. “The Syrian government is well aware of our views with regard to any kind of military activity along the border,” he added. U.S. Secretary of State Condoleezza Rice met Syrian Foreign Minister Walid al-Moualem late last month on the sidelines of the U.N. General Assembly and pressed him on the Lebanon border build-up and other issues. Two days later, the State Department’s key Middle East policy diplomat met Moualem again to discuss that and other issues. While critical of Syria over what it sees as interference in Lebanon, a senior U.S. official told Reuters last week that Washington was reassessing its isolation strategy towards Damascus and how best to get Syria to change its behavior. So far, U.S. strategy has been to impose a raft of sanctions against Syria, which is also on the U.S. list of state sponsors of terrorism. Maybe the military build up is related to the planed activation of the Russia naval base. Naturally Russia would demand from Syria enough border security and military protection if the base is activated, especially in the situation if NATO manages to get a base in Lebanon. By the way Iran and Syria seem to be now relative “happy” about the financial sanctions against them. No assets in US bond or “mortgage packets” an no money in collapsing western banks. US sanctions: financial firewall for Iran, Syria? Interesting, but that poll had a sample size of 77 Jewish voters! With a sample size that small, the margin of error for the Jewish voter sample is plus-or-minus 11 points.